Stop Rot is a special low viscosity epoxy resin formulation which penetrates deep into the pores of wood and stops rot. 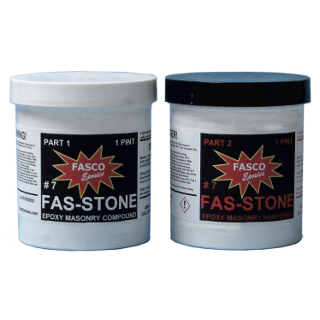 Rotted areas are impregnated with the epoxy into a flexible solid mass which can no longer rot. It also works on damp wood. 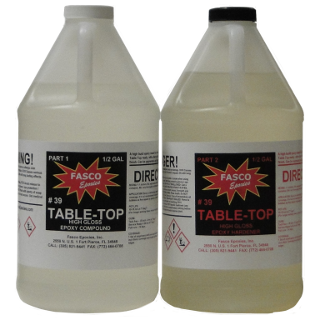 Packaged in gallon kits and quart kits. 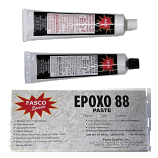 Stop Rot 99 is a special low viscosity epoxy resin formulation that penetrates into the pores of wood and stops rot. Rotted areas are impregnated with the resin and hardener into a flexible solid mass, which can no longer rot. 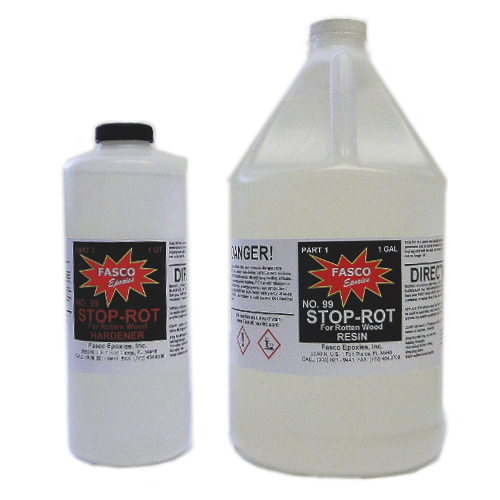 Stops rot and leaks. Super glue and adhesive. May be used on damp wood. 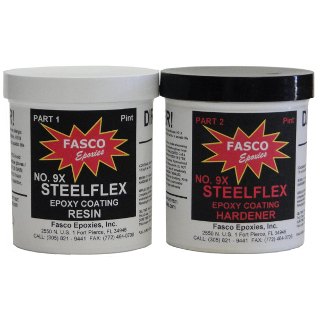 Can be used as a penetrating epoxy. 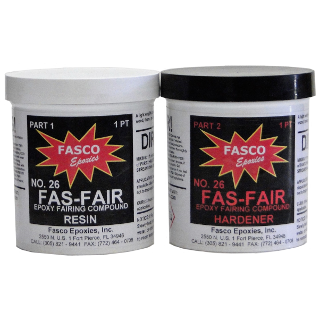 Stop Rot 99 must be mixed in a ratio of 4 Parts of #1 Resin with 1 Part of #2 Hardener. Mix only what you will use in 1 hour periods. Brush the mixed Stop Rot into rotted areas, cracks, seams, joints, end grains, etc. Use any method that will provide the greatest penetration into the wood. Holes may be drilled into the rotted area and 99 Stop Rot poured in or injected to saturate the wood. Stop Rot 99 will set overnight. Do not apply at temperature below 65°F. Avoid contact with skin. Wash with soap and water. 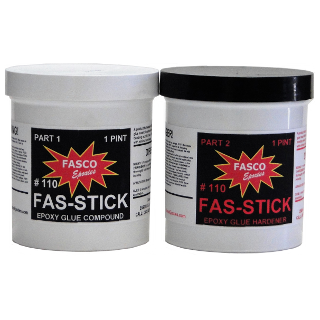 Copyright © 1957-2019 Fasco Epoxies Inc.